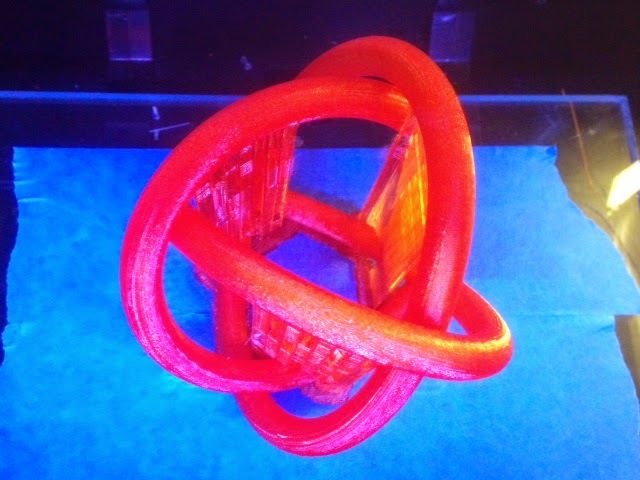 Today we reprinted a giant red model of the Borromean rings from our Borromean Rings Collection on Thingiverse that we made on Day 178, to replace the giant blue model pictured there. The blue model is now on a trip to the UK to Matt Parker (standupmaths on Twitter), who will be photographing it for a chapter in his upcoming book Things to Make and Do in the Fourth Dimension. We will miss you, blue rings. Long live red rings! Settings: This model prints as one piece with almost no support at all. 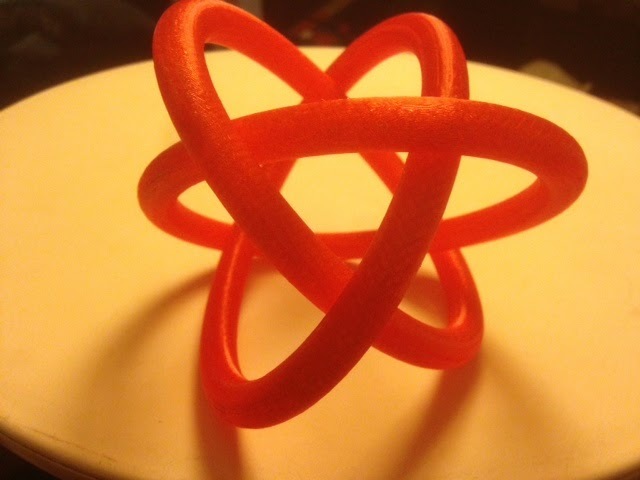 Here it is just after printing on our REPLICATOR 2 WE STILL LOVE YOU PLEASE DO NOT BE DISCONTINUED.